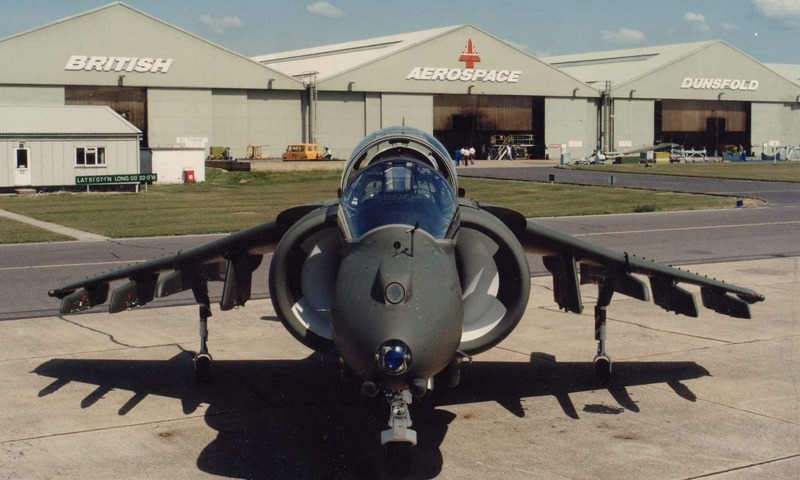 The main runway has the unique Vertical Take Off Grids, known as VTO Grids or Hover Grids – used for the tethering of jump jets such as the Harrier whilst hovering. These are located on aprons that adjacent the main runway and are within the Operational Readiness Platform [ORP]. Beneath these gratings is a large void chamber to take the hot air, condensation and gases from the downdraft of the jet engines of the aircraft. Within the eastern Engine Testing Pen there is a similar arrangement that is a unique feature to Dunsfold. 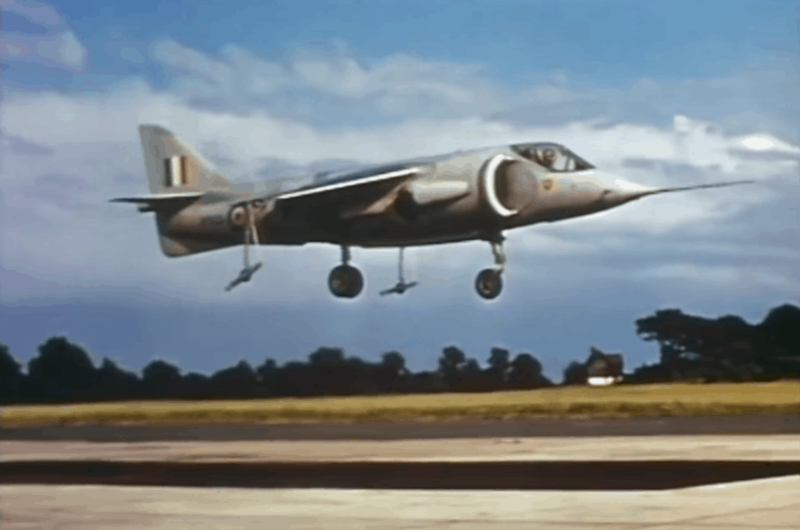 The Hawker P.1127 and the Hawker Siddeley Kestrel FGA.1 were the experimental and development aircraft that led to the Hawker Siddeley Harrier, the first vertical and/or short take-off and landing (V/STOL) jet fighter-bomber. Kestrel development began in 1957, taking advantage of the Bristol Engine Company’s choice to invest in the creation of the Pegasus vectored-thrust engine. 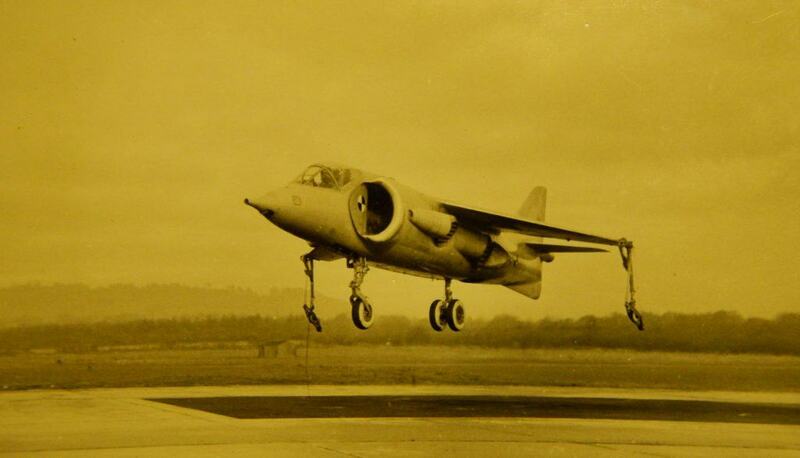 Testing began in July 1960 and by the end of the year the aircraft had achieved both vertical take-off and horizontal flight. 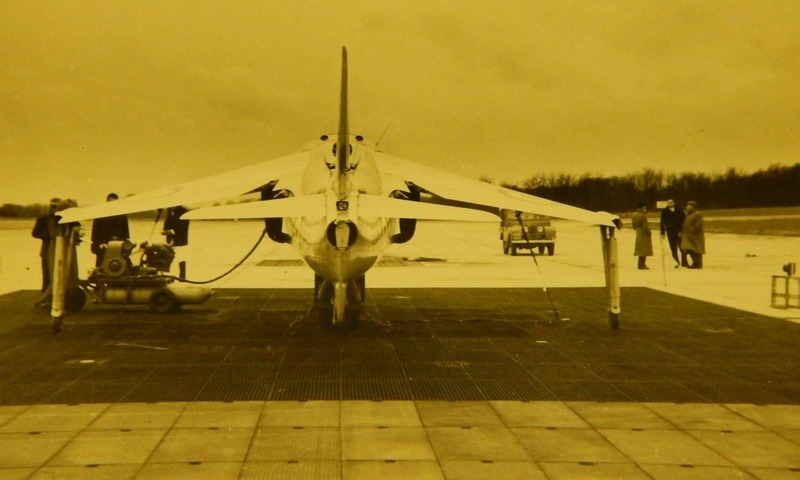 The test program also explored the possibility of use upon aircraft carriers, landing on HMS Ark Royal in 1963. The first three aircraft crashed during testing, one at the 1963 Paris Air Show. 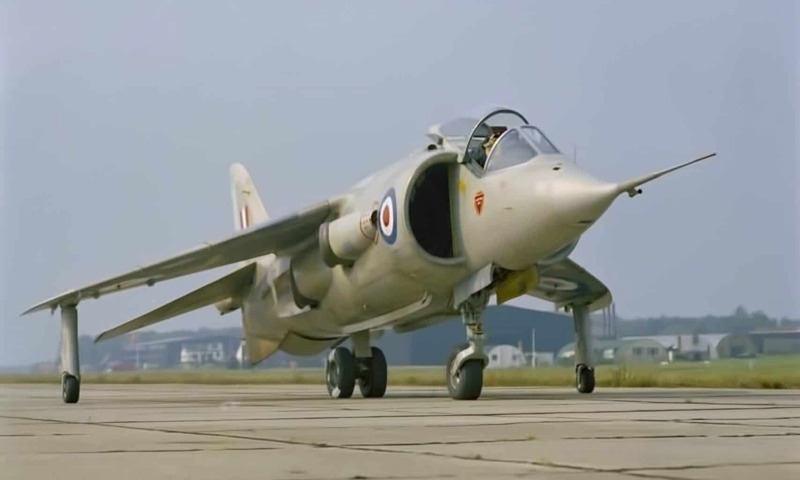 The Aim of the Dunsfold Airfield History Society (DAHS) is to preserve those features of Dunsfold Airfield that have significant historic or architectural interest, in order to retain for posterity the unique contribution of the airfield to our national aerospace heritage.